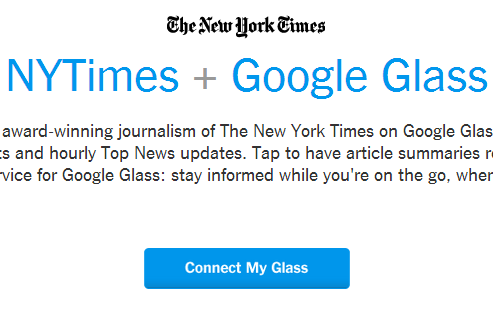 SXSW: Reading the New York Times on Google Glass | EW.comAt SXSW – Reading the New York Times on Google Glass! – “…Google Sr. 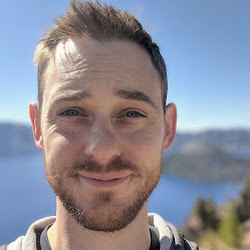 Developer Advocate Timothy Jordan showed how Glass wearers would be able to scan headlines from the New York Times: Images overlayed with text appear in a timeline – essentially a horizontal scroll of notification “cards” floating in the user’s peripheral vision. SXSW: Reading the New York Times on Google GlassGoogle gave app developers (and curiosity seekers like us) a first look at how its eagerly awaited (by some) headset computer will serve up breaking news and integrate with popular apps and web services at a packed session at SXSW earlier today. Google GlassEdit: + Sarah Davis gave me permission to go a little nuts here. So if you're listening Google, I'll pony up for the hardware and plane tickets. :) Oh, man I wish that I could blow $1,500 and a trip to New York on this.